Saw this at an event in shoreditch london. 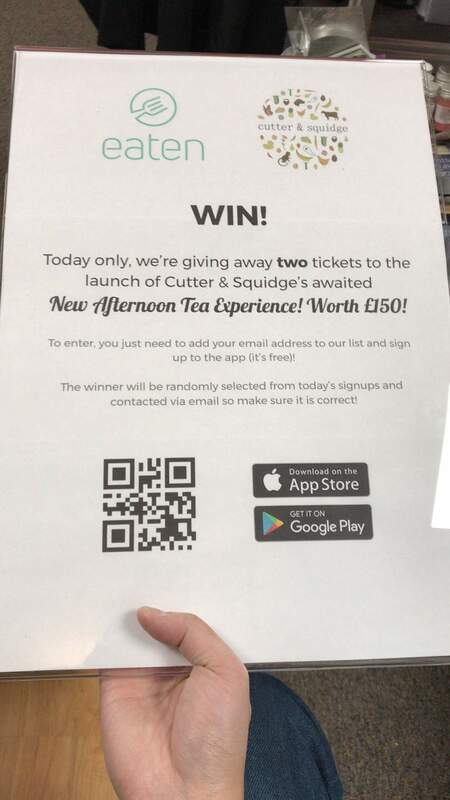 Anyone who downloads and signs up today for a food finding app called eaten (Eaten.io) can win afternoon tea for 2 worth £150 at Cutter and Squidge. Seems like a good chance to win as it's today only so limited time and the afternoon tea looks great on their website.